What starts as a gray blob and ends like a puffy, bubbly cloud? The Elizavecca Milky Piggy Carbonated Bubble Clay Mask of course! Man, what is with Asian beauty products and long names. For the rest of this post let's call this the Piggy Bubble mask for short. 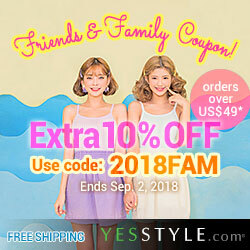 Korean skin care products are so innovative and unique these years. The Piggy Bubble mask is one of many unique creations the beauty market has to offer. It's no surprise too, as there's hardly anything else like it on the market. With any new innovation comes with mixed feelings and unsure feelings. I had just that when I discovered the Piggy Bubble mask. I had seen pictures of the Piggy Bubble mask around for ages but was always hesitant on getting one. The slimey looking gray blob it starts out as really didn't look inviting. However, the curious side of me always wondered how it felt once it bubbles up on the face and makes you look like a fluffy cloud. 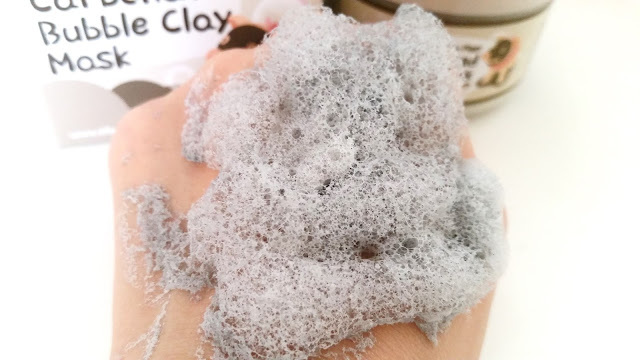 As a mask lover I've tried many unique masks, but a clay mask that bubbles upon application? Never. So, when Memebox send this for me to review, I was like sure! My curiosity side was very interested, however my lady-like side, um, was a bit unsure. 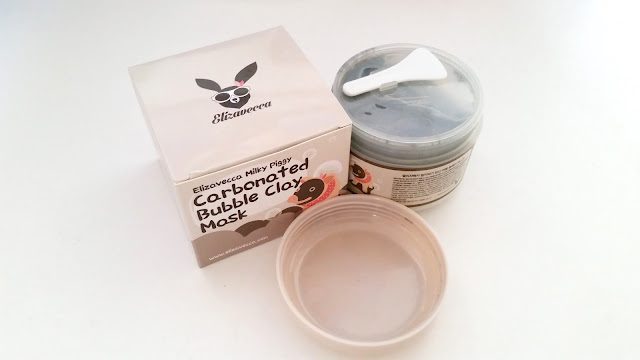 Product Description: A bubble clay mask that functions as a 2 in 1 deep cleansing makeup remover and pore cleanser. Its special formulation deeply penetrate the pores to thoroughly cleanse deep seated gunk in the pores while providing nutrition to the skin. The mask contains charcoal powder which not only helps to cleanse the pores but also helps to refine and tighten the pores. 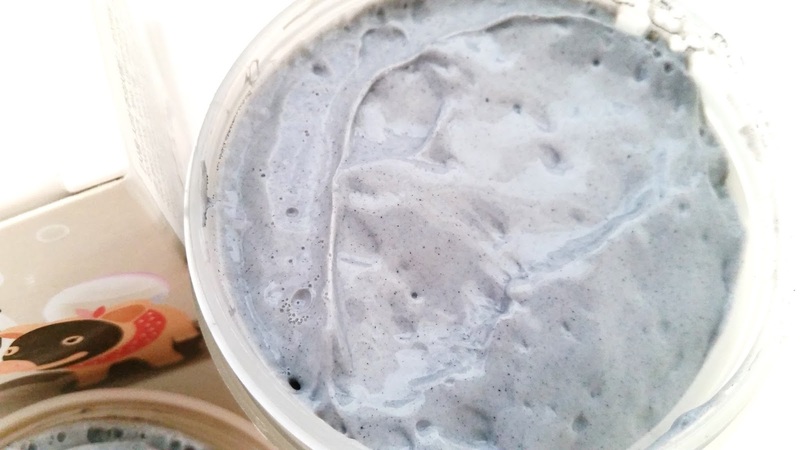 The clay mask can also help control sebum as well. To Use: Scoop a chestnut amount of the clay mask and spread it evenly on dry, clean/uncleansed face. Wait 5 minutes until bubbles began to appear. 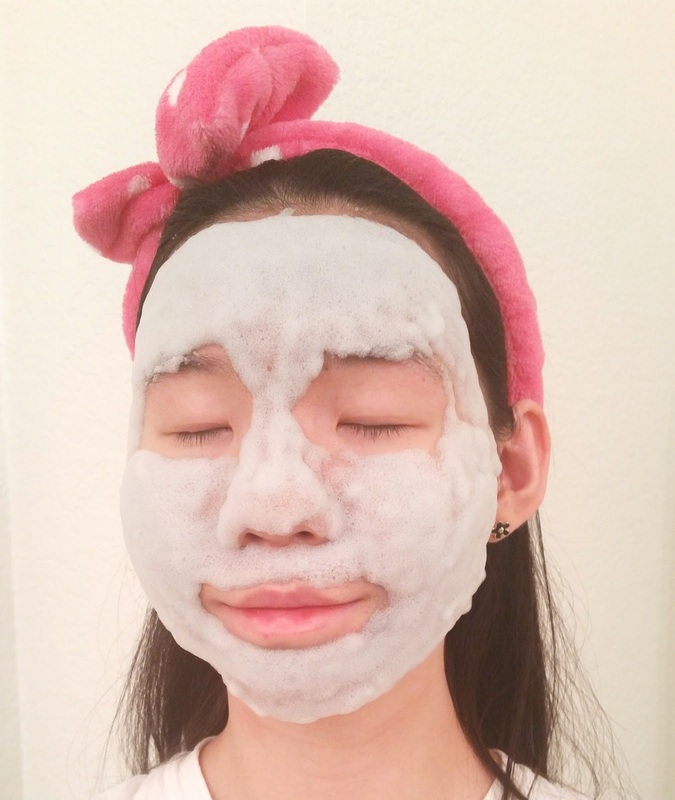 Gently massage the bubbly mask to help melt down dirt. Rinse off with lukewarm water. 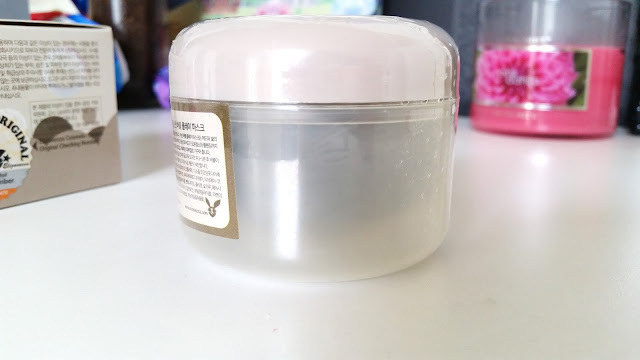 Ingredients: water, cocamidopropyl betaine, kaolin, acrylates copolymer, disodium cocoamphodiacetate, methyl perfluoroisobutyl ether, sodium laureth sulfate, lauramide DEA, TEA-cocoyl glutamate, camellia sinensis leaf extract, glycerin, dipropylene glycol, bentonite, collagen, charcoal powder, phenoxyethanol, methyparaben, fragrance, xanthan gum, disodium EDTA, allantoin, butylene glycol, lavandula angustifolia extract, monarda didyma leaf extract, mentha piperita lead extract, freesia refracta extract, chamomilla recutita flower extract, rosmarinus officinalis leaf extract, carbonated water. 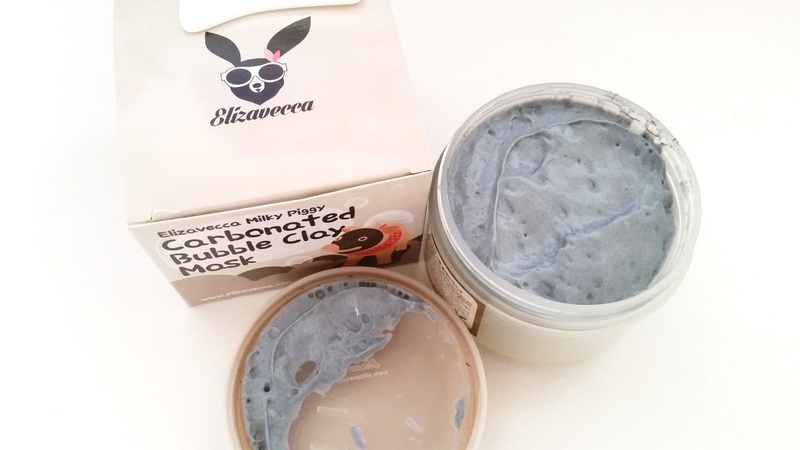 Packaging: This Piggy Bubble mask comes in a pretty simple looking tub container. The designs are kind of cute. There is an authenticity sticker on the side of the box (scratch to reveal the code) and a number you can call to check to see whether your product is authentic or not. I wish they had a website to check instead, like the MDB masks, because that would be much easier than calling internationally. The container might look big but it isn't all filled with masks. Picture below. 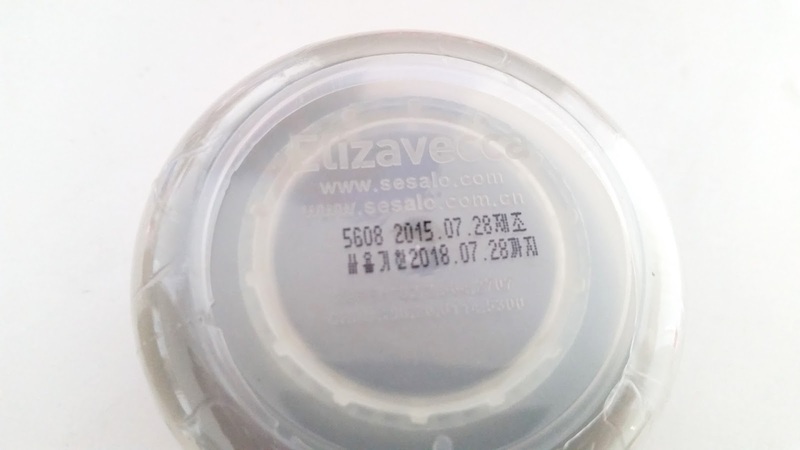 If you look on the side of the container, you'll see that the dark gray section (which is the mask) ends long before it reaches the bottom of the container. So, about 1/4 of the mask container is actually just plastic and not filled with any masks. Scent: I thought this Piggy Bubble clay mask would smell like, well, what most clay masks smells like, which is clay. However, that's not really the case here. The mask actually has a lot of scents mixed together that becomes kind of muddy. I can tell that there's some sort of floral scent in the mix. Probably from the fragrance they've added to the mask to hid or cover other scents? The mask also have a bit of clay smell which seems to sit under the added fragrance. There's also a bit of herbal scent with a bit of freshness to it. Finally, the mask has a chemical like scent. Probably the most unpleasant scent in the mix. It sits on equal footing with the floral scent, so you won't miss it. What I described above is what I smell when I put my nose right above the entire container of the mask. So, of course, I am going to get an overwhelming amount of scents. When I do apply the mask to my face, the scent is a bit more subtle. Still there in all its unpleasantness but just not as strong. If I'm walking around trying to shake off the tickle this mask gives (will talk about that later), then the scent becomes less noticeable. Probably because I'd be trying to stop myself from touching the bubbles causing the tickle. The tub is originally plastic wrapped too. Here you can see the dotted line to unwrap the plastic. Color: Gray and gray and more gray. Seriously though. This mask is just gray. Texture: Slimy, yucky, goo. It's probably the most unpleasant looking mask I've ever tried. It feels all gooey too when I applied it. 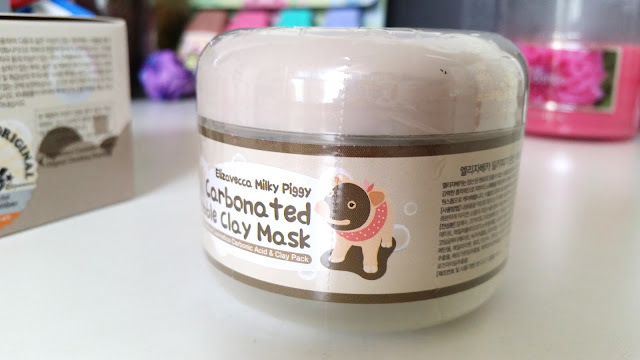 The Piggy Bubble mask has got dark gray specs in it, which are most likely the charcoal powder. I can't even say what it reminds me of because I don't think I've ever used anything quite like this. The mask comes with a spatula. Before I share my thoughts on the product, let me share a little story with you. As you know, my curiosity side was very excited for this mask. The bubbling effects just seem so appealing that I really, really wanted to try it. However, that gooey looking gray blob was totally a let down. I mean it looks like some witch was trying to brew the stew of death or something. Anyways, when I was taking pictures of the clay mask, something happened that changed everything, sort of. I wanted to take a picture of a scoop of the goo, so I scooped out some of the mask and readied myself for the pictures. At the same time, my adorable furbaby came into my room. In the split moment of me turning around to look, my scoop of goo escaped from the spatula and fell right onto the floor with a splat. At that moment all I could think of was OMG I need to clean the goo off the floor before Momo gets too curious and give it a sniff or worse a lick. But see, I didn't prepare myself any tissue paper or paper towel because I didn't think I was going to make a mess. Desperate time calls for desperate measures, so I used my hands. Yes, I had to touch the goo when I was not prepared. It felt slimy and gooey and ugh and I was getting it all over my hands. 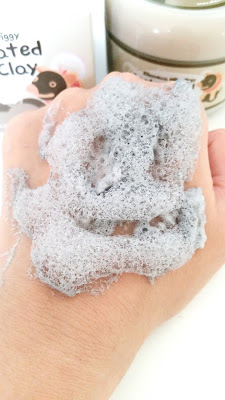 Hands are probably not the best things to use to clean up a gooey mess, especially not for this bubbling mask. Why? You ask. Because bubbling masks tends to well, bubble and before I knew it I had a gooey, bubbling mess on my hands, literally. I managed to get my dog out of my room, close the door and look for tissue paper of some sort to get clean. Why didn't I do this earlier? I don't know. However, I did clean up the mess. Oh and Momo is fine, he wasn't even near the goo, but worrisome me got a little carried away. In hindsight, this seems like a rather funny story. With me clearly not thinking much. Using my hands to clean gooey, bubbling mask, pshh, totally made a mess but oh well. However, what I did get out of it was that after touching the gooey mask in such a situation, patch testing it and using it on my face didn't seem so bad. I'm still not a big fan of the uninviting looks and gooey feelings, however, I don't mind it as much as before. My Thoughts: I prepared myself for this mask. I mean, I've tried snail slime masks, so a clay mask that looks like a gray blob should be no big deal. Right? Plus after all that ordeal (see story above), it really doesn't seem that bad. As with any new product, I start with patch testing. Patch testing not only allows me to determine whether the masks irritates my skin or not, it can also help me determine other factors. Like my preferences on how to use the mask. For example, how long I can keep the mask on my face before I should wash it off or how much of the mask I can apply onto my face, etc. Through my patch testing period I was able to determine the following for my sensitive skin. Even though the instructions say to leave the bubble mask on for 5 minutes, I find that it's best for my sensitive skin if I wash off before the 5 minutes mark. If left longer, it can cause a bit of a flush on my skin. Usually the bubbles are at its biggest around the 3 minutes mark for me. So, that's when I start to pat them down and do a mini massage on the face before washing off. This gives me the optimal results for my skin. I also find that I like to apply a thin layer of the mask instead of a thick layer. There are multiple reason for this. Applying a thin layer means it is much easier to wash off later on. It also means that while the mask bubbles on the face it won't over bubble. Also even if a thick layer is applied it doesn't always increase the amount of bubbles. The top of the layer that is exposed to air will bubble and anything below will stay a gray blob like until the top bubbles are popped to expose the bottom gray blob. My patch tests also allowed me to determine the best ways to apply the mask for me. For optimal application, it's best to apply starting at the nose. This way the sides and cranny of the nose can be applied first and easily. Then spread the mask outward to apply the rest of the face. For my sensitive skin, it's best to use the mask once a week. If you don't have sensitive skin, the mask can be used up to twice a week or as needed. The mask can be a bit hard to wash off sometimes. Like most clay masks, it can take a bit of time to wash it off. 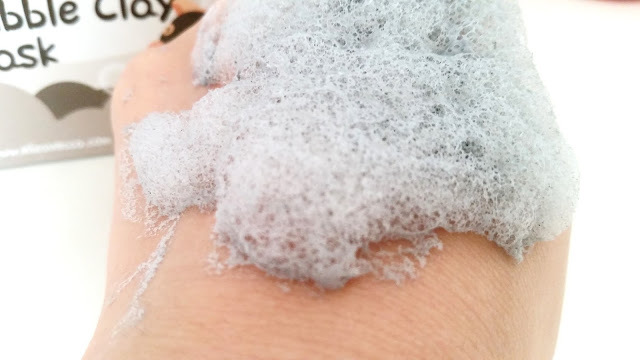 However, with the help of a soft washcloth, the removal process can be much quicker and easier. What I like about this mask is how my face feels and looks after using it. My face feels smooth after each use. Seriously, I love the smooth feeling. It also feels fresh and clean too. Not like super strip your skin kind of clean, but the nice kind of clean. It did help control the sebum on my face a bit. I found that the mornings after I use the clay mask, my t-zone is not as oily as when I don't use the mask. 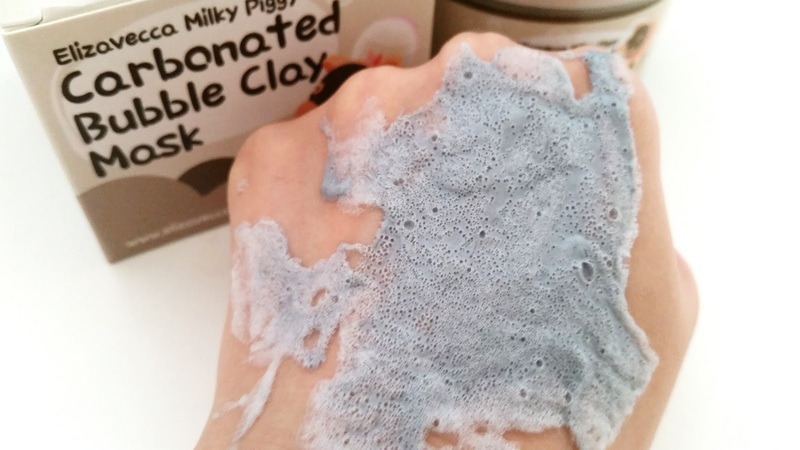 The Piggy Bubble mask also helps to wiggle out blackheads. Ew, I know, but it seriously works. After washing off the mask, I can see my blackheads had been wiggled or pushed more towards the surface. Making them easier to extract. I also like that the mask comes with a spatula of its own that takes out just the perfect amount of mask for each use. Plus, this is a super fun and rather entertaining mask. It's uniqueness totally takes it up to the next level. The bubbling effect on the face feels nice at the same time a bit tickling. If you are super ticklish on the face, this might become a bit uncomfortable. I was able to withstand the tickling effect long enough to have it do its magic on my face. I think the short 3 or 4 minutes is a good time. Any longer might be too much to handle. I had a lot of fun patch testing and using this Piggy Bubble mask. I mean just look at it go. Soon, the bubbles will becomes puffy and cloud like. Just perfect! Sure the gooey mask doesn't look or feel appealing. However, once applied and the magic begins, all is forgotten except for the fun of the bubbles and the potential tickle. Like I mentioned before. If you get ticklish easily, you might not like this mask. Once the Piggy Bubble mask starts to bubble the tickling begins. It feels like a thousand bubbles tickling all over the face. It actually reminds me a little bit of pop rocks. The popping and fizzing effects that happens when you eat pop rocks is kind of like bubbling and fizzing feeling the bubble mask has on the face. I usually try to distract myself when I have this mask on. 3 minutes actually goes by fairly quickly when I'm distracted by the bubbling bubbles and the funny faces I make while wearing this mask. So I haven't had any issues with it. However, if getting tickled on the face by bubbles isn't your thing, you might not like this mask. To be honest, I'm not sure why looking at a mask that bubbles makes me all giddy inside, but it just does. You can actually hear the bubbling sounds too! I think this mask is way more satisfying than some other bubbling mask I tried before that hardly bubbled. Which is probably one of the reasons why I am more excited about it. 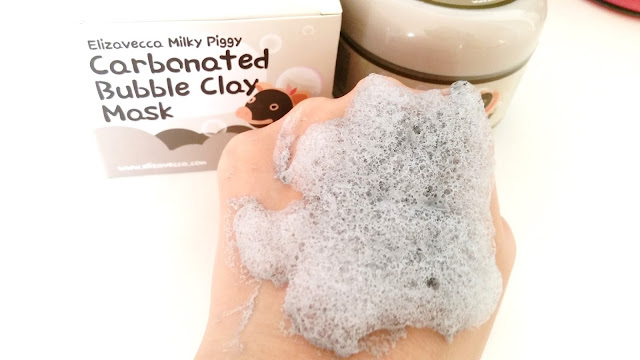 The Piggy Bubble mask has been dubbed the cloud mask by some because when it's applied and bubbles, it looks like a puffy cloud. It's probably as close to a cloud as one can get with a bubbling clay mask. After the 3 minutes mark, the bubbles are pretty much set. There won't be much growing after this. There will still be bubbling sounds and what not, however, the overall size will probably stay the same. For those who are adventurous and don't have sensitive skin, the bubbles can be patted down, the mask can be massaged in a little and if you wait a bit, new bubbles will sprout. For those with sensitive skin, try this on your arm/hand first. If your skin is sensitive like mine, that second bubbling won't be fun and can actually cause redness on the face. Look at how high the mask has risen due to the bubbles! This is what it means for the mask to look like a cloud. All puffy and soft looking. Since the mask is gray, it actually looks like a gloomy cloud! 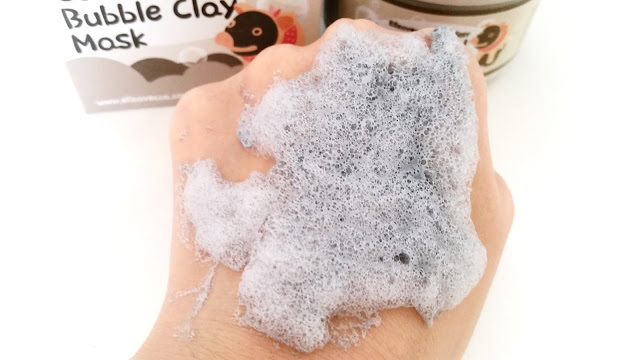 Like an angry gloomy cloud, bubbling on the skin to battle clogged pores and cleanse the skin. Okay, maybe I'm getting a bit carried away with the cloud reference. But you have to admit, it does look like a cloud. A bubble filled cloud that is. With most products, there's a downside of things. This is true for the Piggy Bubble mask as well. The most noticeable downside is the scent. While the scent is not as strong when the mask is applied to the face as when it's sitting in the tub, it's still unpleasant. The chemical and floral fragrance mix is not good at all. Added with the scents the fragrance is supposedly trying to cover, the overall scent becomes quite muddy and slightly piercing. I don't think the scent is bad to a point that I can't handle it. However, for people who are sensitive to fragrances, this might not be the mask for you. As mentioned before, the bubbling mask can cause a tickling sensation on the face which might not be pleasant to everyone. So test it out first before using it full force, just in case you are more ticklish than you think. It also takes some time to get the right routine for the mask. While the Piggy Bubble mask comes with instructions, sometimes it's best to set your own rules. Through following the instructions that came with the mask, I found that the 5 minutes mark on the instructions is actually a bit too long for my sensitive skin. The best time length for my skin is between 3 to 4 minutes. Anything more and my face will feel the wrath of redness caused by over using the mask. So for me, minimal length is better. Okay, back to the upsides! This mask definitely comes with a lot of bubbles. When I was patch testing I had a little lot of fun with the mask. So much so that I tried to draw a happy face on it. It didn't really come out as a happy face though. As I noted on Instagram, it looks kind of like a gray bubbly cloud ghost with a missing tooth. Kind of cute and not at the same time. I tried my best okay. It's hard to draw a smiley face on a bubble mask when it just bubbles up to fill the space you created after. Don't believe me? Look at the picture below. See. The bubbles pretty much filled up the failed happy face and it looks like I never touched it. Neat huh? I think most people are sold on the novelty of this product before they make the purchase. I mean, how many masks out there can bubble up on the face and change itself to look like a puffy cloud? Then, after trying out the product, some ending liking it due to its nice skin smoothing, pore cleansing effects. While others end up not liking it due to its muddy scent or tickling sensation. For me, I was definitely drawn in by the uniqueness of the bubbling mask. While I'm not loving the scent and tickling effects, I do love the smoothness, fresh, and clean feelings it leaves my face. So much so, that I am willing to keep on using the mask despite the scent and tickling feelings. 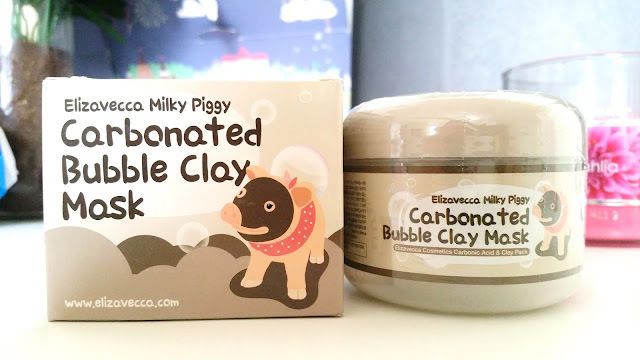 Final Thoughts: This Elizavecca Milky Piggy Carbonated Bubble Clay Mask is one unique mask with a super long name to boot! While I started off feeling unsure about this gray goo of a mask, I ended up really liking it. Sure it's got some down sides, with its scents and tickling effects being the main reasons as to why it lost a heart in my ratings. However, the mask has got plenty of upsides to love. Making it easy to overlook the downside, if not, to just get use to them. The mask, for one, is very entertaining. 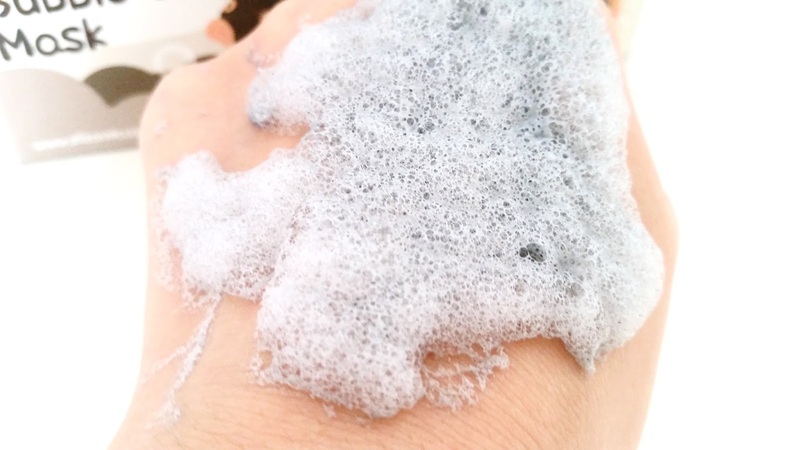 Watch it bubble up in front of your eyes, while it cleanse the skin and pores. Once washed off, it leaves the skin feeling smooth and fresh. It's entertainment in a tub and makes skin care feel more fun! Would I repurchase this in the future? Still undecided. 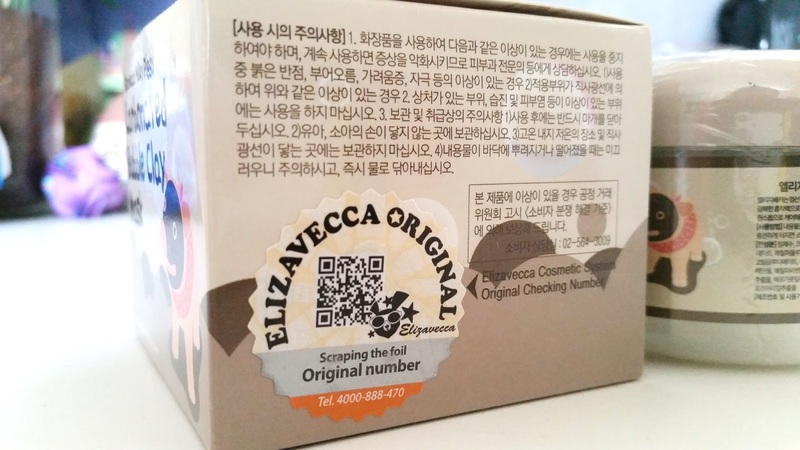 Korean skin care is always on the move to create better and more innovative products. So I wonder what they'll come out with next to compete with this bubble clay mask. Better yet, can they make something more entertaining without the scent/tickling issues? Would I recommend this mask? Definitely! It's a bubbling goodness for the face that's worth trying at least once! 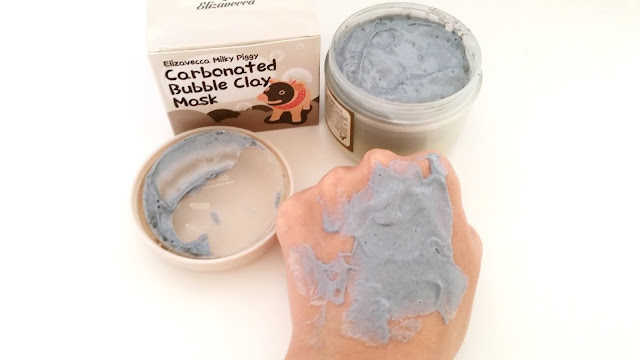 The clay masks not only works well but it's also fun to use and entertaining to watch. Plus, it'll be a super fun addition to sleep overs! Check out my codes and deals page for more discounts! 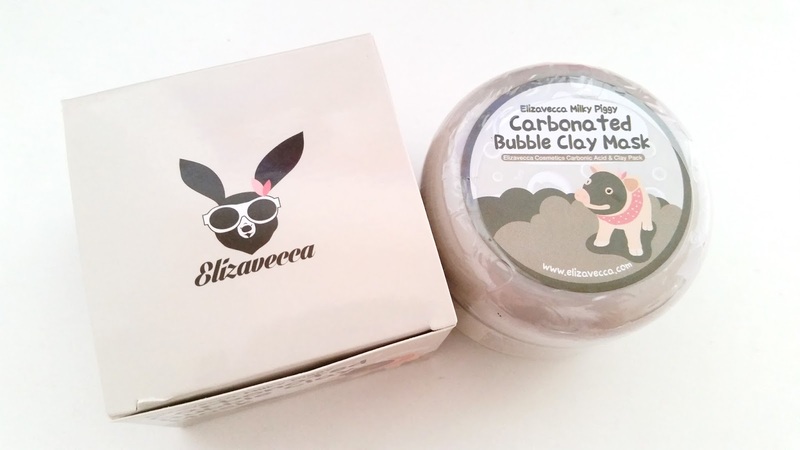 Have you tried the Elizavecca Milky Piggy Carbonated Bubble Clay Mask? Would you like to try it? Leave a comment below and let use know! Disclosure: All the opinions in this post are honest and my own. I was not compensated in any other way. This product was sent to me for review purposes. This post may contain affiliate links. Read my full disclosure statement here.